The unisex Greek lettered T-shirt from Greek Gear is the ultimate staple for any Greek group member's wardrobe. 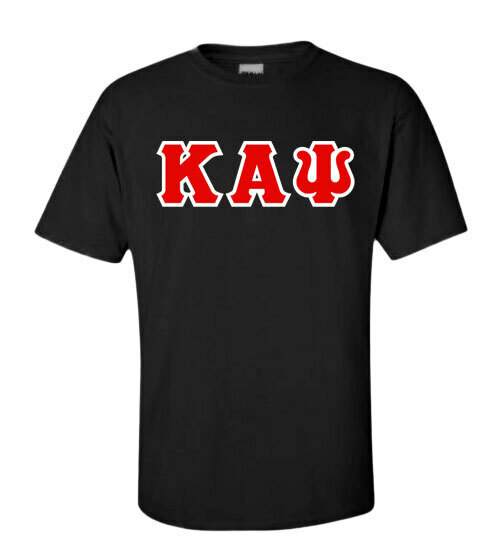 This classic tee is perfect for fraternity or sorority events, and can be worn as a stylish, everyday T-shirt. 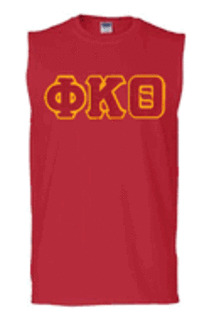 The heavyweight material is the perfect canvas for the embroidered Greek letters across the chest. These letters are attached using a simulated stitch method. 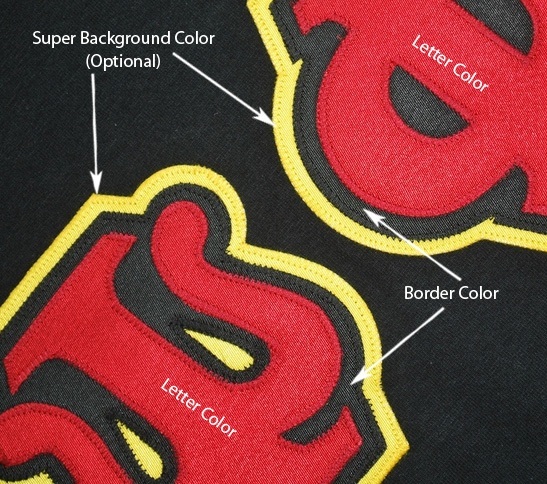 This means that, while they are heat applied, they retain the appearance of sewn-on letters. 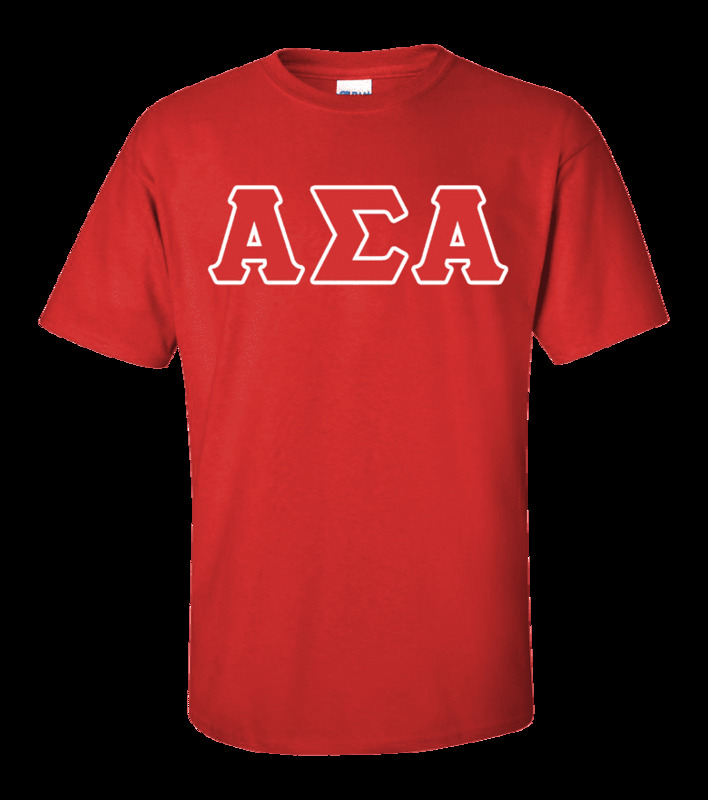 To help you better represent your sorority or fraternity, the Greek letters on our classic lettered T-shirt come in your Greek group's colors. 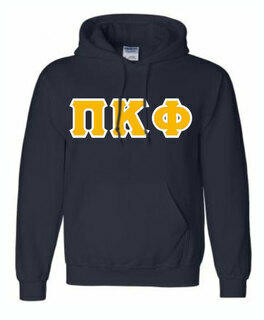 Just let us know which sorority or fraternity is yours, and we'll provide the letters in the proper color combination. 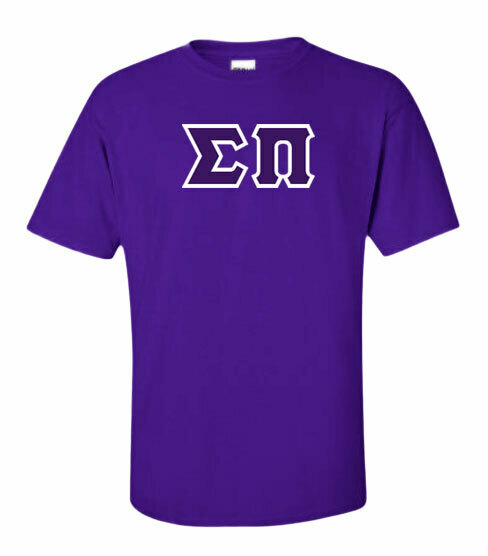 These Greek letter T-shirts come in several different sizes, from small to XXXX-Large. 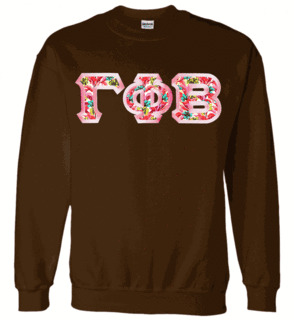 These are unisex sizes but tend to run large and closer to men's sizes. 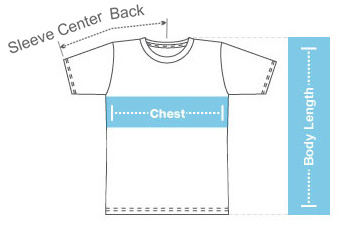 Many women may need to size down when ordering this tee. First color shown is the foreground, 2nd color shown is the background. 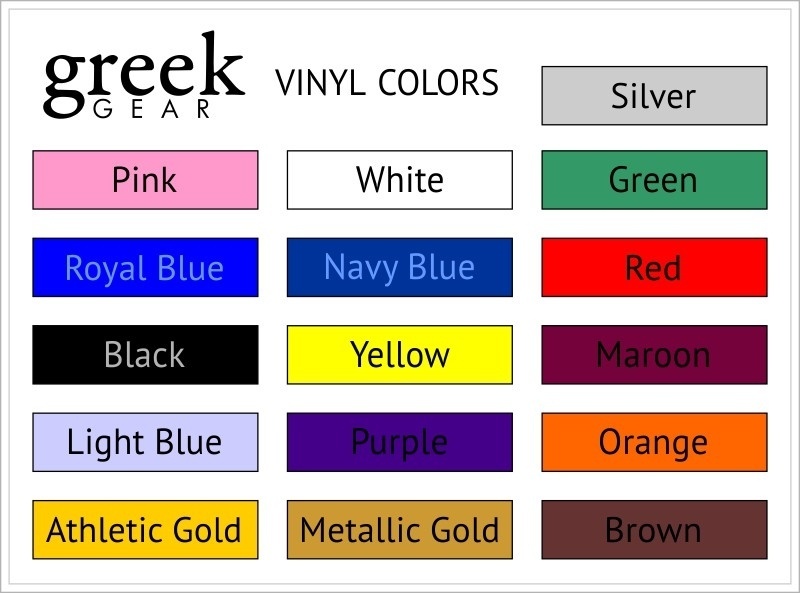 If you want to make up your own color combinations, please visit our twill section by clicking here!